When Is a Meniscus Transplant an Option? If you have a specific type of knee pain and meet the right criteria, a meniscus transplant may be an option for you. Meniscus transplantation involves placing cartilage from a cadaver donor into a patient. The meniscus is a complex structure that provides both cushioning and stability to the knee. Without the meniscus present, you're much more likely to develop accelerated degenerative changes to the knee joint. As this happens, the remaining cartilage that covers the ends of the bone, called the articular cartilage, is worn away, and bone is exposed. For this reason, orthopedic surgeons attempt to preserve the meniscus when surgically treating a torn meniscus. During surgery, only the damaged portion of the meniscus is removed, or your surgeon will perform a meniscal repair if possible. Unfortunately, despite advances in arthroscopy, not all meniscus tears are able to be repaired. In some cases, in order to best treat the damaged meniscus, the entire meniscus must be removed. 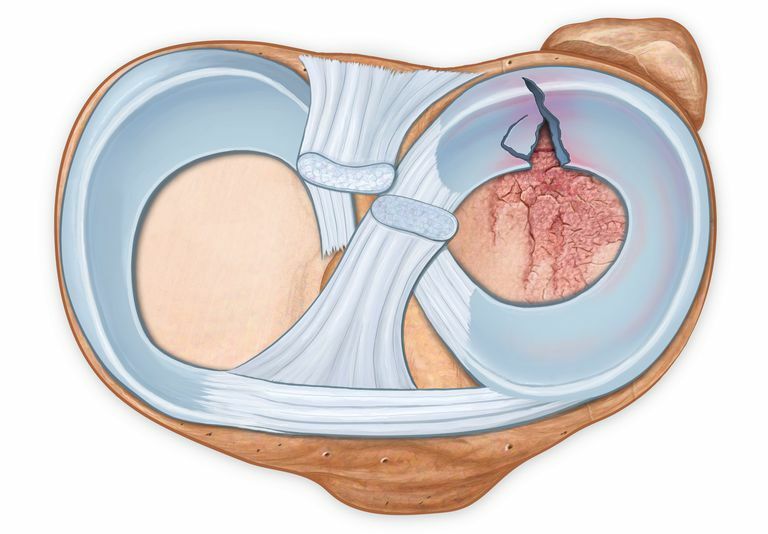 When the meniscus is removed, you're left without much of the joint cushion. Initially, this tends not to be a problem. But over time, pain often develops where the meniscus was removed, and you can go on to develop accelerated arthritis in that part of the knee joint. The goal of a meniscus transplant is to restore the normal joint support and cushioning of the meniscus so that the pain will be alleviated. However, although it does help alleviate pain, studies show that meniscus transplants don't slow down or prevent osteoarthritis in the knee and more surgeries and/or a knee prosthesis will likely eventually be needed. Further explaining this last point: Some patients are looking for solutions that surgeons cannot necessarily offer. The goal of a meniscus transplant surgery is to reduce pain associated with normal activities. The goal is not to give you a "normal" knee, but rather to make it better. It's possible that you may not be able to resume competitive athletics despite a successful meniscus transplant. If you're expecting more than the reduction of pain, you may want to consider other options as you may be disappointed in the results of a meniscus transplant. Medline Plus. Meniscal Allograft Transplantation. U.S. National Library of Medicine. Updated April 18, 2017. Meniscal Transplant Surgery. Johns Hopkins Medicine. Van Der Straeten C, Byttebier P, Eeckhoudt A, Victor J. Meniscal Allograft Transplantation Does Not Prevent or Delay Progression of Knee Osteoarthritis. Zhao C, ed. PLoS ONE. 2016;11(5):e0156183. doi:10.1371/journal.pone.0156183.